Come take a magic carpet ride through Brooklyn! 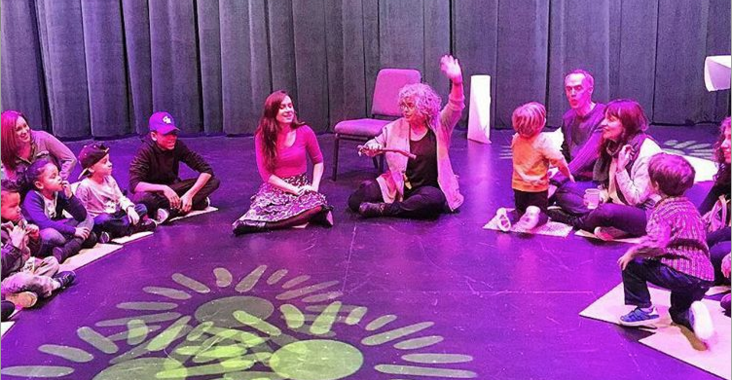 Storyteller Robin Bady joins the Five Boro Story Project for a fun workshop that will lead children and grown ups in crafting stories about the Brooklyn of our daily lives, and the Brooklyn in our imaginations. We’ll draw, sing, and tell fabulous, fantastical Brooklyn stories. 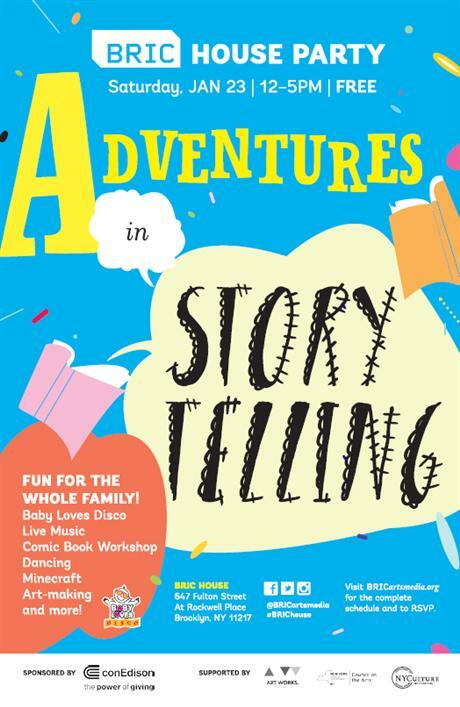 Bring the young’uns in your life and join Brooklyn’s best all-ages party, BRIC’s Adventures in Storytelling House Party. It’s a full day of activities from 12:00-5:00pm. Join our workshop in the ballroom at 12pm and stick around for games, a scavenger hunt, dancing, and more! BRIC House is located at 647 Fulton Street (entrance on Rockwell Place) in the heart of the Downtown Brooklyn Cultural District, and is easily reached by subway or railroad: G to Fulton; C to Lafayette; 2/3/4/5 to Nevins St.; B/Q/R to Dekalb; Steps from Atlantic Terminal and the LIRR. Our workshop will be in the ballroom on the first floor.